This quote from Yeats fittingly opens Tomm Moore’s Song of the Sea, which seeks to understand a world full of weeping through the eyes of a human child. 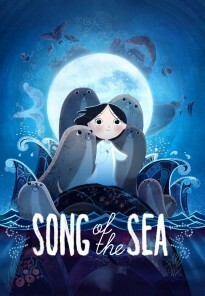 Song of the Sea is Moore’s sophomore feature, after 2009’s excellent Secret of Kells, and it is a truly special film – stunningly animated, rich in characters and ideas, deliberately anachronistic in its visual style and pacing, simultaneously elegant in its simplicity and overwhelming in its complexity. Here, Moore has crafted something that not only functions on the surface as a great animated picture, but is also richly thematic and deeply emotional, using its simplicity as a children’s film to get directly at visceral emotional concepts. 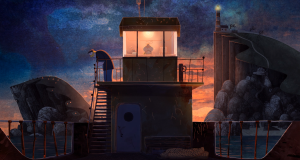 In a time dominated by bright, fast-paced, frenetic animated family films, Song of the Sea is gratifyingly calmly paced, taking time for quiet reflection. The story here centers on Ben (David Rawle), whose mother Bronagh (Lisa Hannigan) disappeared when he was young, leaving his sister Saoirse (Lucy O’Connell) with him and his father Conor (Brendan Gleeson). As the film opens, we see that Bronagh’s disappearance has impacted the family dynamic significantly; Conor is withdrawn and depressed, Granny (Fionnula Flanagan) suppresses her grief behind a curmudgeonly façade, and Ben deals with his confusion and anger by bullying Saoirse. It turns out that Saoirse, like her mother, is a selkie – a seal who can take human form – and Granny takes Ben and Saoirse away from their lighthouse home to the city, far away from the danger of the sea. As Ben seeks to return home, he discovers Saoirse’s true nature, and inadvertently begins to repair his fractured family. 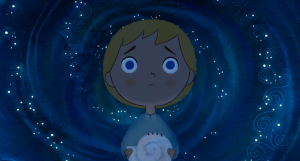 Much like Spike Jonze’s Where the Wild Things Are, another of the great modern cinematic ruminations on childhood, Song of the Sea uses its fantasy elements as a conceit to explore psychological and emotional concepts, turning its attention to the way humans, young and old, deal with loss and grief. The literality of events here is beside the point; symbols weave the fantastical narrative into the mundane, linking characters in real life with those in the fairy world. As the elements of the fairy world are slowly revealed, they gain more and more resonance with the characters’ psychological and emotional processes in real life – and each of these processes is a response to the loss of Bronagh. The most important piece of symbolism to understand is the sea, which can be understood to represent death, mortality, or the knowledge of death. The sea is where Bronagh came from, and to it she returns when she disappears. Granny lives in the city, far away from the sea and thereby far from the painful knowledge of death. On the other hand, Conor, in his lighthouse, is quite literally surrounded by it. 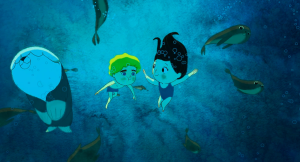 After Saoirse finds Bronagh’s coat and goes for a swim in the ocean, Granny panics; Conor takes the coat, along with a chest of Bronagh’s keepsakes, and hurls it into the sea, locking away the painful memories. 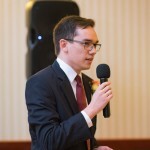 Conor, as it turns out, is crippled by depression. He ignores Ben and dotes on Saoirse, too consumed with the memory of his lost wife to care for his son. His counterpart in the fairy world is the giant, Mac Lir. As the story goes, Mac Lir was struck by tragedy and, in anguish, wept an entire ocean before his mother, Macha the owl witch, turned him to stone. In the real world, Conor is little better than a statue to his children. Dan, the ferry man, hints at the Granny/Macha connection by describing her as “the ol’ witch,” with just the right intonation that it could be heard as “the owl witch.” Dan, who accompanies Conor to the pub on the anniversary of Bronagh’s death, is a symbol of memory; and his fairy counterpart, the Great Seanachai, lives in a cave surrounded by thousands of hairs, each of which contains a story or memory. It is in the Great Seanachai’s cave that Ben comes to a crucial turning point in his battle with grief, reliving the memory of his mother’s disappearance. In the opening scene, Ben sits on the beach, drawing, fascinated by the sea but afraid of it. “Don’t go near the water!” he yells. “It’s dangerous!” After Saoirse and his dog, Cú, drag him into the sea, Ben is livid, spluttering, “You nearly got me killed!” – an early link between the sea and death. Throughout the film, Ben wears a life preserver – a sign of constant protection from the sea. Yet in the climax, Ben, in order to save Saoirse, removes the life preserver and leaps into the sea – literally facing death for the sake of his sister. 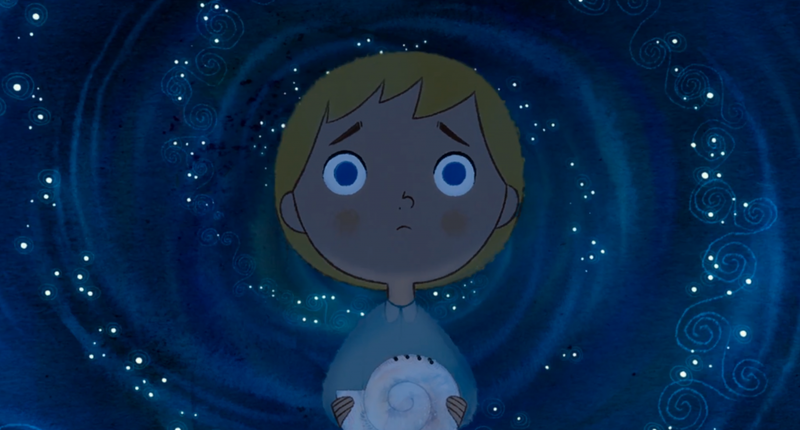 In the end, the song of the sea is connected to the memory of lost loved ones, which is expressed via art – a link to Secret of Kells, in which art also served to bridge relational gaps that could not be crossed otherwise. 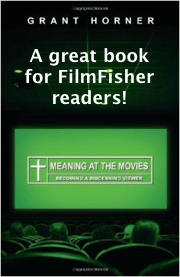 Grief is overcome by art – “Remember me in your stories,” Bronagh counsels a tearful Ben in the film’s denouement – and even, perhaps, something like prayer. 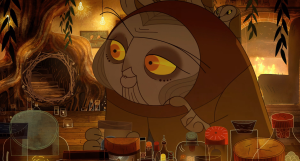 Song of the Sea frequently depicts Christianity side by side with paganism, juxtaposing a Catholic holy well full of portraits of Christ with a cavern full of fairies. The song of the sea functions vaguely like a prayer for the departed, sending the dead to a kingdom beyond the sea – literally, beyond death. Moreover, this communal remembrance of the dead also heals the living; the family unit is restored. The film ends with Saoirse and Ben playing in the sea, swimming together, no longer afraid of death, which has lost its sting.